Upholstered bed with multiple position reclining system on back pillows .Can be in fabric/ ecoleather/ leather. 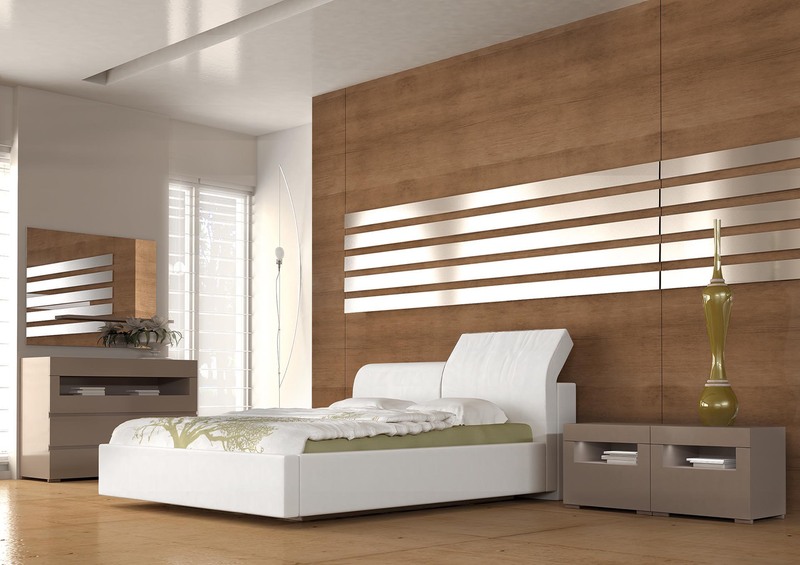 Bedside tables and chest of drawers in matt lacquered wood. 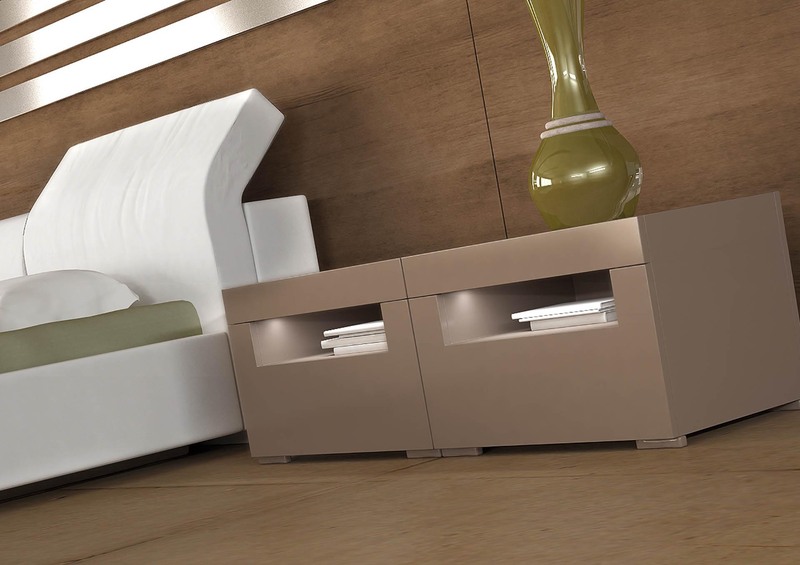 The bedside tables have also led light under the top drawer.